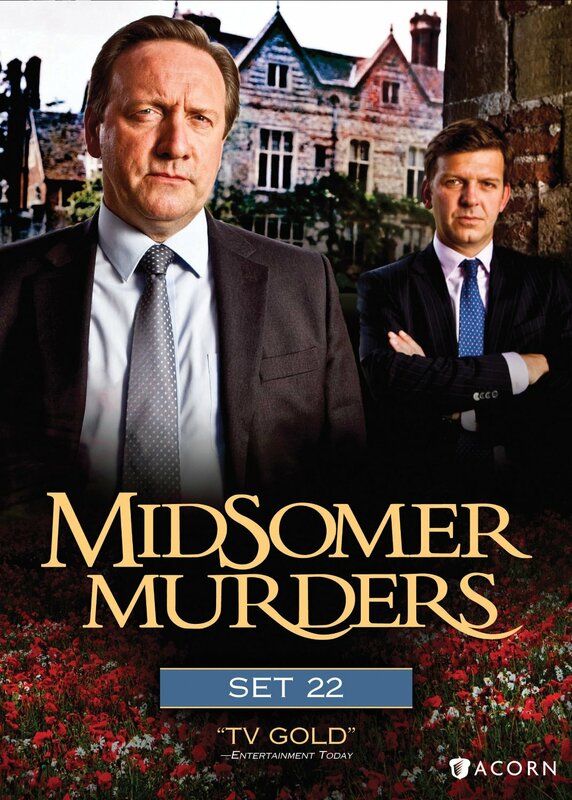 After set 21 came out for Midsomer Murders earlier in the year, I was really looking forward to the next installment. If you remember correctly, Set 21 introduced us to the new DCI John Barnaby who took over from the retired Tom Barnaby. I felt that when Neil Dudgeon stepped into the shoes of Tom Barnaby, he had a strong start. 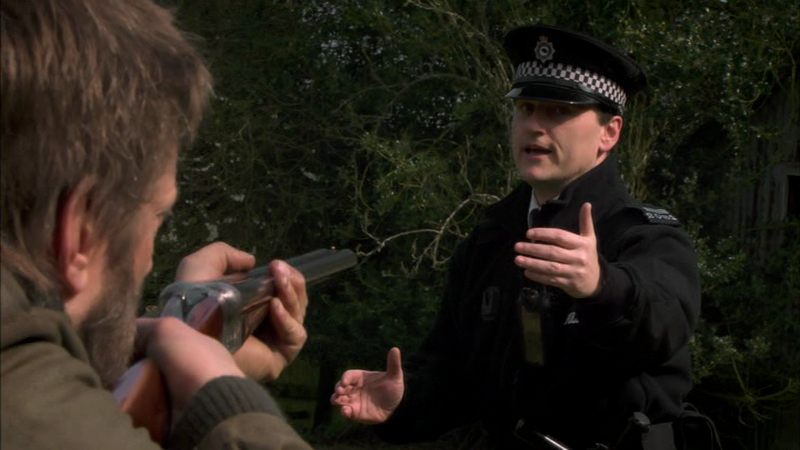 This may be a criticism for some other TV series but things rarely change on Midsomer Murders even if that cast does change. In this case, I think this is a good thing. This is a series where we dip into the lives of Barnaby and Jones. It is not one where we have too much drama between them. 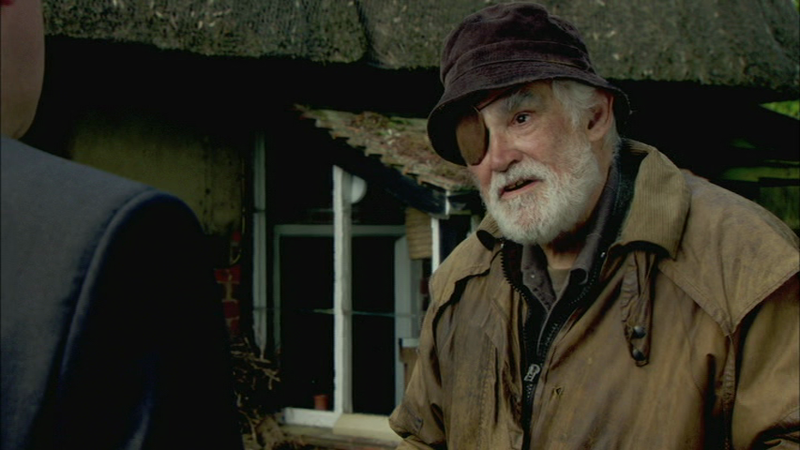 The focus of the series is squarely on the murders in Midsomer where Barnaby and Jones come in to investigate. I like that a lot. It keeps it simple. What keeps this series intriguing to me is how the next murder is going to take place, the beautiful English country locations of each episode and the light-heartedness of Barnaby and Jones. Perhaps it is a simple but it is a relaxing and beautiful series to watch. The Sleeper Under the Hill: One of the strengths of this series is that it is never straight forward. It focuses on some themes I personally have an interest in seeing in a series like Midsomer Murders. This includes the supernatural. This episode focuses on the Druids but it is never as simple as that. 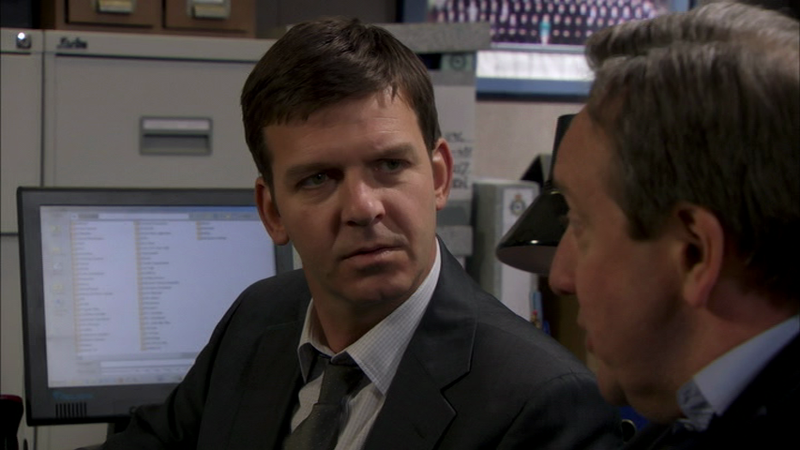 As with other episodes of the series, this episode tries to make us believe how some of these murders take place. One murder especially tries to get us to believe it takes place in full sight which is a little hard to believe. That was something that stood out a little sloppy to me in the plot. 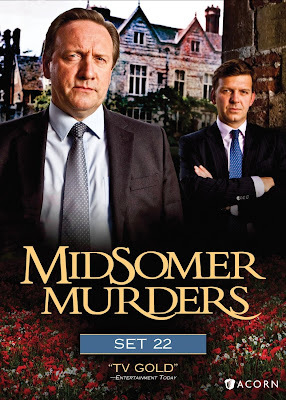 As a theme I point out in most every review of this series is that generally speaking, any crime committed in Midsomer Causton is not a blue but a white collar crime. It’s not just Druids but art is involved as well. The Night of the Stag: The next episode starts off with us seeing John Barnaby having a taste of how gruesome murders can be in Midsomer……literally. I have seen episodes like this in a lot of other series where one head-man can control his village. They seem to follow him without question but do they know exactly what is going on? What happens when he takes that role too far? Along with that there is a side story of a minister who is very pure and is disapproving of everything everyone else does in this village. The beginning of the episode is particularly strong. It starts off, with as you might guess, a murder. It happens at night with people trailing a man that we have no idea who he is or what his business is with these other people. It’s atmospheric as we can only see the guy, everyone else following him are just shadows with flashlights in big open fields. The imagery is frightening. 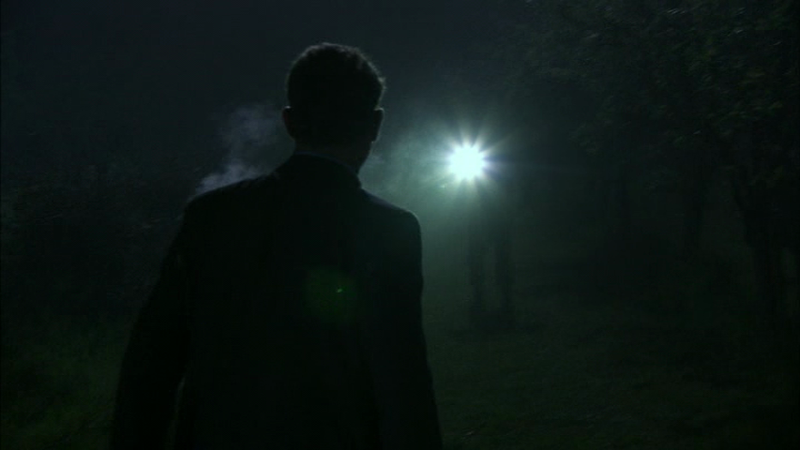 The ending is also quite strong as it looks like Barnaby & Jones are in a no way out situation. This episode highlights how brave they are while trying to carry out their duty. It’s a very enjoyable episode. A Sacred Trust: This is probably my favorite of the set. Once again it includes themes that I find fascinating. One of those themes is religion and anything to do with the mystery of nuns. 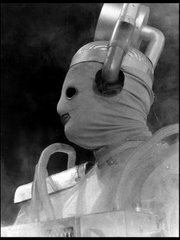 Just by how they look is mysterious and this episode takes place with an order of nuns who never leave their convent. They have taken a vow to stay only within their community. There is only a few of them but one of them is murdered. Is the murderer one of the nuns or is it someone else? There are a couple of side themes going on with story. The land that the convent takes up will be reverted to the descendent of the owner of the land if the convent ever shuts down. Is this a reason why the nun was killed? Just as a side note, an interesting series that also has a great nun story is from Armchair Thriller titled Quiet as a Nun which actually is a very spooky tale. It is also a sort of pilot for Jemima Shore Investigates that went on the air a few years later. If you have a chance to see that, check it out too. A Rare Bird: This is the last episode on the set as well as the last episode for the 14th Series. I think an interesting trait for murder mysteries whether it be Columbo or Miss Marple is that the people who are the incidental characters are often odd and very interesting. Perhaps even fanatics in their interests. This episode delves into the world of bird watching. The group that we see are fanatical in their watching. I am not sure if this is the case with real bird watching groups but this group is really into it. This includes recording audio in the woods all night to try and pick up bird calls and also competitions to compile a list of as many rare birds seen as possible by the group. Little would anyone know that this would lead to cheating and murder. Yet, there is more to this than bird watching. What does a pregnant Russian ex-ballerina have to do with all of this? This is a nice way to end this series. It’s a good story and since I don’t know anything about bird watching, I would have no idea if it is all accurate or not. This episode features James Dreyfus which I did not recognize. He has been in a lot of series such as Gimme, Gimme, Gimme and My Hero but I remember him best as Christopher in Absolutely Fabulous and as Goody in The Thin Blue Line. 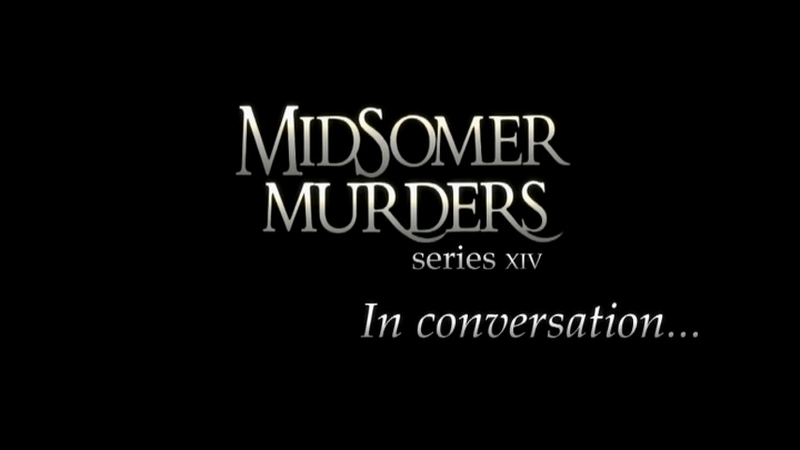 Midsomer Murders In Conversation: this is a really nice behind the scenes feature focusing on Neil joining the cast of Midsomer Murders. We get a lot of background on his career and life plus we hear from Jason Hughes talking about all sorts of things from the theme music to favorite murders. Not only that but we hear from Jim Parker who created the amazing theme tune but from other people who wouldn’t normally be interviewed like the caterer or a driver. 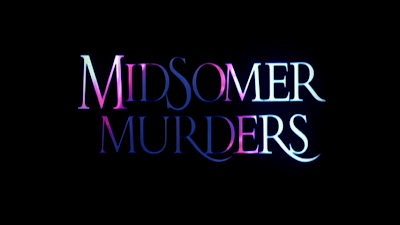 To me it shows how much all the people who work on Midsomer Murders mean to the success of the production. It’s a nice meaty extra for the set coming in at 35 minutes. This is a recent ITV production. It looks great. I opted not to review the Blu Ray set and only the DVD as I am sure the quality is great in HD, this is a series I just like to watch again and again. I don’t necessarily need to see it in HD but just to watch it and enjoy it. If Acorn Media every decides to re-release the entire series again but on Blu Ray from the beginning, then that is something I may consider taking a look at but for now the DVD is fine. That being said, probably one of the things I am missing out on is those gorgeous country sides in HD but it still looks quite good on standard definition DVD. It is interesting because Acorn Media has three separate strands of Midsomer Murder packaging going. One is the mega sets that repackage about 15 stories or so into one set. The newest one is the re-packaging the series in smaller single sets by series such as this. This set here is the original set of DVD releases. We are now on Set 22. This is basically the same as the other sets. Each episode is on its own DVD (which I appreciate) and is housed in its own slim line DVD case. That’s four cases in the set. The cover is the same as the others with Barnaby and Jones in the foreground and the English Countryside in the background. The style of these covers have been around for years but I still love them. The only thing I am not too excited about is that the recent Acorn Media DVD releases do not have full color DVD labels but it’s just silver with black printing. I suppose it’s a cost cutting thing and to be honest doesn’t affect my enjoyment of the set at all. I am just being picky for no good reason. After all of these years for Midsomer Murders, I don’t feel the quality has dipped at all. In fact with a new Barnaby on the scene, I say keep it coming! I love this series and I look forward to another 14 series! This week: Who will win the Blu Ray give-a-way for Spearhead from Space plus a review of the new Blu Ray release for Prime Suspect from Acorn Media. Here’s a preview: it is gorgeous looking!